Israeli Jews have experienced a wave of stabbing attacks in recent weeks. For the past four weeks, Israel and the West Bank have been hit by a wave of stabbing attacks by Palestinian Muslims on Israeli Jews and protests in the West Bank. Palestinian fury derives from claims that Israel planned to change the status quo banning Jewish prayer on the Temple Mount, as it is known to Jewish people, or Haram al-Sharif, as it is known to Muslims. The 15ha area, in Jerusalem's walled Old City, in many ways constitutes the epicentre of the long conflict between Israeli Jews and Palestinians, Arabs and the wider Muslim community. It is the holiest place in Judaism. As the site of the First and Second Temples, it is the most resonant reminder for Israeli Jews of their sense of remembered and ancient sovereignty in the land. For Palestinians, Arabs and the wider Muslim world, the area is revered as the site of the al-Aqsa Mosque, whose holiness is surpassed only by Mecca and Medina. The fact of Israeli control of Jerusalem's Old City since 1967 constitutes for many Palestinians a constant reminder of what they regard as the wrongs of the present situation, and the perceived historical injustice of Israel's establishment. So the area is a permanent flashpoint. Its potential to ignite the flames of renewed conflict is ever present. The current wave of attacks does not appear set to turn into a mass uprising. Some believe the wave of attacks heralds a third intifada, or Palestinian uprising. But several indications suggest that, although the wave of attacks is unprecedented in the decade since the end of the second intifada in 2005, it does not appear set to turn into a mass uprising. So is the violence being contained, and if it is, what are the factors underlying this? And will the present trend hold? Jerusalem has been flooded with an increased deployment of police, reinforced by 1,200 border police officers, for the past two weeks. This week Israel police spokesman Mickey Rosenfeld contended that this deployment, on a tactical level, had succeeded in preventing attacks and containing the situation. Without doubt there has been a numerical decline in attacks in Jerusalem, and a similar reduction in incidents elsewhere in Israel, during the past week (though not in the West Bank). Several additional elements have contributed to the tentative sense that the violence, if not yet defeated, is being contained. First, the agreement reached between US Secretary of State John Kerry and Israeli Prime Minister Benjamin Netanyahu, Palestinian Authority president Mahmoud Abbas and Jordanian King Abdullah II in Amman last Saturday lessens the plausibility of any claims that Israel plans to alter the status quo on the Mount. "Al-Aksa is ours and so is the Church of the Holy Sepulchre," PA President Mahmoud Abbas declared when the violence first flared up last month. Israelis "have no right to desecrate them with their filthy feet." This agreement, in the first instance between Netanyhau and Abdullah, provides an Israeli guarantee that the status quo on the Temple Mount/Haram al-Sharif is not going to be changed. The placing of cameras in the area will be a further positive contribution in making clear that no such change is being implemented. Of course, no evidence has emerged of an Israeli plan at any stage to change the status quo in the area. Rather, one of the more notable constants since the capture of the area by Israel in June 1967 has been the continued prohibition of Jewish or Christian prayer on the Mount, despite its great significance to these religions. But the perception of a danger to the al-Aqsa Mosque, the product of a constant drumbeat kept up by Hamas, the Islamic movement in Israel, prominent clerics and sometimes Fatah party leaders including Abbas, has been the key element in firing up the incendiary atmosphere behind the attacks. The agreement will not appease the youthful circles most closely involved in the violence. They are influenced by social media rather than high-level ­politics. 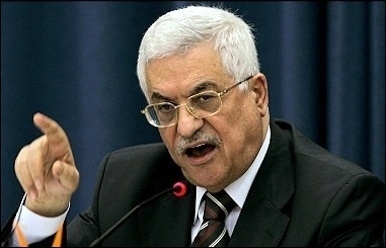 Abbas hopes to control and channel the unrest, not escalate it. But it may well reduce the general level of apprehension regarding the situation on the Mount, and thus lessen the broader support necessary to turn the present situation into a large-scale ­uprising. Second, it is noteworthy that co-operation between the Israeli security forces and those of the Palestinian Authority has not broken down as a result of the events. The authority leadership does not control the young people carrying out the stabbings. But if the authority wished to put its own structures behind the unrest, it could transform it at a stroke into something far more seri­ous. On a verbal level, the Palestinian Authority accepts the stabbings and describes the perpetrators as "martyrs." Abbas contributed to the inflamed atmosphere underlying the attacks in a speech broadcast on PA TV on September 17 in which he called on Israelis/Jews not to place their "filthy feet" on the Mount. While praising the perpetrators as 'martyrs,' the PA has continued security cooperation with Israel. But the goal of the Palestinian Authority president is to control and channel the unrest, not to escalate it. The authority may benefit from unarmed protests that keep the Palestinian cause the subject of world attention. But Abbas does not seek a general violent insurgency against Israel. This reflects itself in the practical moves adopted by Abbas. Fatah party armed groups such as the Tanzim and the al-Aqsa Martyrs Brigades played a key role in the attacks on Israeli population centres in the 2000-05 period. Security co-operation broke down in northern autumn of 2000 in a prelude to the mayhem that followed. But this time, despite his rhetorical condemnations, Abbas evidently prefers not to throw away the relative stability of recent years. The Tanzim and other Fatah armed groups have been instructed not to engage in violence. The official Palestinian Authority security forces are continuing cooperation with Israel. Third, there is a more nebulous element here, harder to quantify but nevertheless apparent in conversations with Palestinian residents of Jerusalem. The general chaos in the surrounding area — in Syria, Sinai, Iraq and so on — has not escaped the attention of Palestinians or Israelis. This serves as a disincentive to participation in violence among wide sections of society. It is easy to launch an uprising, harder to know where it may lead. Chaos in the surrounding region makes Israelis and Palestinians alike wary of escalation. The second intifada was not that long ago. It is still remembered by all those over the age of 30. The suffering that it entailed and the surrounding examples of what a general breakdown in civil order can produce are probable contributors to the fact the demonstrations of recent weeks have stayed small, numbering in the hundreds rather than the thousands. Fourth, the attacks are emerging not from organised structures but from a milieu of young Palestinians too young to remember the previous intifada, who receive their information from social media, where claims that Israel is about to change the status quo on the Temple Mount proliferate. The experience of the Arab Spring shows the power and the limitations of loosely organised or unorganised groups of youth inspired by social media. Activity generated by social media is immensely difficult for the security forces of a government to combat. There is no means to infiltrate or have forewarning of a person who is convinced by a message on social media, then chooses to go out and commit a murder using instruments available in most kitchens. Individual violence incited by social media is difficult to combat. But other than expressing anger, a leaderless, directionless trend of this type ultimately is capable of only a limited impact. The stabbings will not produce any gains for the Palestinians. Nor will they have any particular effect on internal Palestinian politics. In the agreement reached in Amman last weekend, Israel refused a Palestinian demand to return to the pre-2000 status quo on the Temple Mount, according to which Israeli security forces would not enter the area and the age of worshippers was not restricted. The reason for this refusal, clearly, was to dispel any attempt to claim that the wave of stabbings had achieved a concrete concession from Israel. Fifth, the Palestinian Islamist movements Hamas and Islamic Jihad have thrown their support behind the protests and stabbings, and are seeking to derive political capital from them. Several of the attacks were committed by individuals with connections to the Islamists. Five individuals con­nected to Hamas were arrested for the murders of Eitam and Na'ama Henkin on October 1. Muhanad Alkubi, who killed IDF soldier Omri Levy on October 18, was also in contact with that movement. Islamic Jihad claimed credit for the attack in Jerusalem's Old City on October 3, in which Nehemia Lavi and Aharon Bennett lost their lives. But there is a gap between the desires of Hamas and Islamic Jihad, and their abilities to implement them. Hamas wants to turn the unrest into a mass movement that it can direct, as much against the Palestinian Authority as against Israel. Abbas is unpopular. Palestinian elections have not taken place for nearly a decade. Hamas would like to increase the demonstrations and attacks on the West Bank and assume the leadership of them, turning them into a mass movement that could result in the collapse of the Palestinian Authority and the movement's seizing the leadership of the Palestinians. 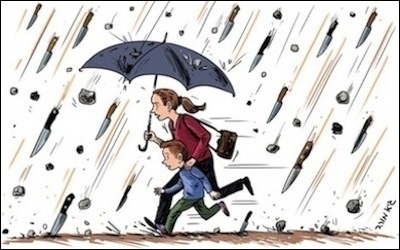 At the same time, Hamas wishes to avoid another destructive war with Israel in its Gaza enclave. The reconstruction of the damage suffered in last year's round of fighting is still under way. So focusing the unrest on the Palestinian Authority fiefdom of the West Bank would suit its purposes. Islamic Jihad, which is purely a paramilitary group rather than a military-political one such as Hamas, also is energetically seeking to fan the flames. The movement has been the main factor in the demonstrations close to the Gaza border. The intention of both these movements is to launch larger-scale and more sophisticated terror attacks against Israelis, along the lines of those witnessed during the second intifada. Such attacks would win the support of the fluid population of very young Palestinians who are engaged in the present violence, and bring the situation to a new level of gravity. It is worth remembering that at the height of the second intifada, 130 Israelis were killed in a single month of attacks (March 2002). By contrast, the past month has seen the deaths of 11 Israelis. Hamas and Islamic Jihad want to raise the price. But no such large-scale "quality" terror attacks have yet taken place. This is not by chance. While a decision by an individual to carry out a stabbing as a result of incitement is hard for the intelligence structures of Israel (and the Palestinian Authority) to detect in advance, this is not so with regard to larger-scale attacks, which require a network of skilled personnel, prior knowledge and direction. Structures of this kind are vulnerable to penetration and surveillance. Israel eventually managed to defeat the second intifada through a combination of intelligence work and targeting of commanders and activists of the organisations engaged against it. The networks that enabled this still exist in the West Bank. These, until now, have prevented the Palestinian Islamist organisations from carrying out attacks that would necessitate a more determined Israeli response and increase the gravity of the situation. There is another factor that should give pause even to the circles of Hamas, with regard to the advisability of encouraging a further deterioration of the security situation. On October 22, the "Damascus Province" of Islamic State issued a video featuring a heavily armed militant speaking fluent, Palestinian-accented Hebrew. Renewed low-intensity war would likely herald the arrival of Islamic State west of the Jordan River. It was the latest in a series of clips issued by the organisation supporting the present wave of ­violence. In the video, the man issued bloodcurdling threats against Israeli Jews, promising that Islamic State was coming "from the north and the south, from Sinai, from everywhere" and that "not one Jew" would be left alive "in Jerusalem or across Israel." The inspiration for the wave of knife attacks is fairly obvious. It is Islamic State that has "pioneered" murder with cold steel in the Middle East. If Hezbollah, with its paramilitary methods, was the inspiration and spirit behind the second intifada, the corresponding inspiration today is the murderous religious fervour of Islamic State. Earlier this month, the Israeli authorities arrested seven Arab citizens of Israel in the Nazareth area. They are accused of establishing the first Islamic State terror cell in Israel. Renewed low-intensity war would almost certainly herald the arrival of Islamic State west of the Jordan River. Present indications suggest that while Israelis and Palestinians glimpsed that abyss in the strange and bloody October of 2015, it has not yet been entered. Friends of both peoples should be hoping this situation continues to hold.